Good family dentists are available during both regular dental visits and dental emergencies. That’s why our emergency dental care and walk in clinic offers extended hours – evenings and Saturdays – and encourages emergency dental walk ins. With ample and validated parking, our office is easily accessible from the main floor of our medical building and is wheelchair accessible. Dental abscess: An infection/swelling in the mouth, face, jaw or throat that begins as a cavity or gum infection. Abscesses can come from poor oral hygiene or from any health conditions that naturally weaken the immune system. 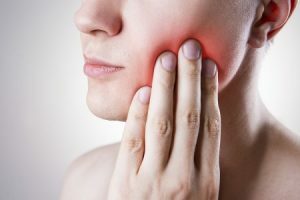 For more information on dental abscesses, please read the blogs, “What is a Dental Abscess?” and “Dental Abscess, Part Two, Treatment of Facial Swellings’’. Pericoronitis: Is another type of dental swelling that result in patients coming to the office as a dental emergency. This is a swelling usually related to a lower back tooth i.e. wisdom tooth. Pericoronitis is when a flap of gum tissue grows over the back part of the tooth. Bacteria and food debris accumulate under the flap of tissue, which results in an infection. For more information on Pericoronitis, please see the blog series, “Pericoronitis-Part 1,” “Pericoronities-Part 2,” “Pericoronities-Part 3,” “Pericoronitis-Part 4“. Toothache: Can refer to most forms of pain in and around the teeth or jaws. Toothaches have many possible causes including cavities, cracks in teeth, exposed roots, gum disease, and muscle spasms. Severely decayed teeth most often result in a toothache. For more information about this, please read the blog, “Severely Decayed Teeth”. If you’d actually like to look at the decay/cavitation process then please refer to the blog “Dental Anatomy 101”. Dental trauma: Any injury to the mouth, including the teeth, gums, jawbones, tongue, or lips. Any major accident or physical trauma – including car accidents, sports injuries, physical fights, and burns from hot liquids or injuries from biting hard foods – can qualify as a dental emergency. 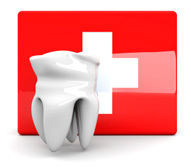 Dental trauma in children and adolescents often presents as a fractured tooth or even a tooth that’s been avulsed. As a result, the tooth has been completely displaced from its tooth socket. For a more in-depth discussion of dental trauma, please refer to the blog “Children and Dental Injuries”. Emergency root canal: Repairing damaged teeth by treating infection in the pulp – the soft tissue in the center of the tooth made up of nerves and blood vessels. If there is advanced decay which has entered the nerve of the tooth and is causing pain. If the individual has been involved in some form of traumatic injury which has resulted in a fracture of the tooth in such a way that the nerve has been affected. If you find yourself in severe pain, it may not be possible to take the tooth out because it is too ‘fired up’ to calm down with local anaesthesia…we need to calm the tooth down first, before the local anaesthesia will be able to work properly and numb the tooth. As a result, the patient is often put on an antibiotic and pain killer. Once the tooth has calmed down, we then bring the patient back for the appropriate treatment i.e. extracting the tooth. Naturally, your best case scenario is to prevent dental emergencies from happening in the first place. But that may be easier said than done. Please contact us if you require dental emergency care or a dental emergency walk in clinic in Brampton. You can find us in the heart of Brampton at 40 Finchgate Boulevard, Suite 121 at Bestgate Professional Centre. We welcome new patients, walk-ins and dental emergencies for all ages. Based in Brampton, Ontario Dr. Robert Axelrad has been practicing dentistry for three decades. And he continues to help and improve the dental health of countless satisfied patients in Peel Region, Brampton and Mississauga and beyond! Feel free to call us today at (905) 791-3867 for any dental health question you may have, as we are always happy to hear from you.